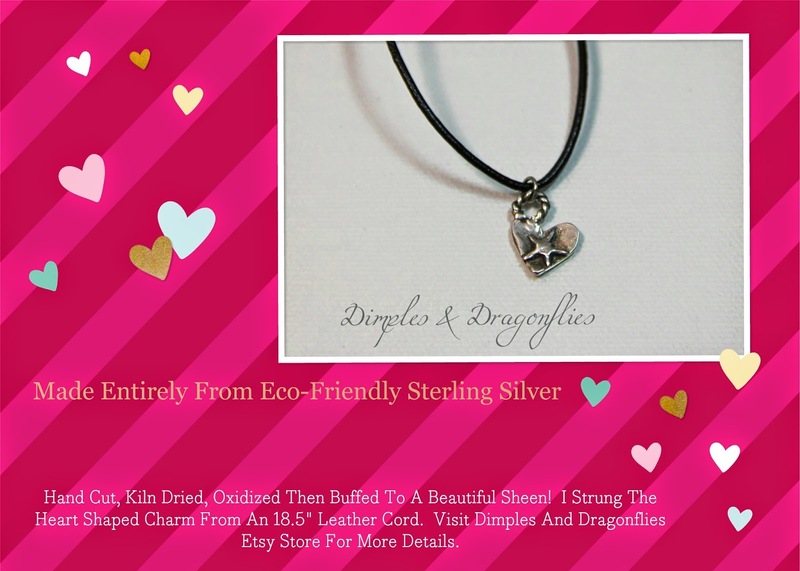 This Sun And Heart Sterling Silver Charm Was Made Entirely From Eco-Friendly Recycled Sterling Silver. It Was Hand Cut, Hand Designed, Kiln Dried, Oxidized, Then Machine Buffed To Beautiful Sheen. I've Strung It From A 1mm Leather Cowhide Cord With A .925 Sterling Lobster Clasp With A Smooth Ring Closure. Your Necklace Will Arrive Tissue Wrapped In A Sweetly Scented Gift Box! Perfect For Giving Or Keeping All To Yourself!